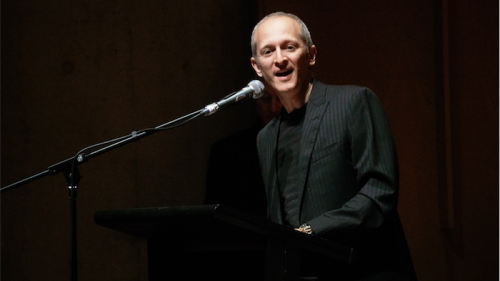 WHEN “CityNews” broke the news on January 18 that Prof Ken Lampl was stepping down from the headship of the ANU School of Music the phones started ringing. “CityNews” is accustomed to stories of operatic scale emanating from the music community, so took the tongue-wagging with a grain of salt. 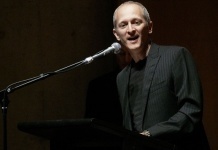 Over many years this writer has been the recipient of many letters and phone calls, both anonymous and otherwise, from disaffected members of the ACT music community concerned about the school. Long-considered a financial basket case by the ANU, which was uncomfortable with the one-on-one pedagogical model, things ramped up in May, 2012, when then vice-chancellor Ian Young announced a spill which eventually led to a complete turnover of staff. In 2016 the present vice-chancellor, Brian Schmidt, commissioned a community consultation about the school’s future from former public servant Andrew Podger, which recommended changes in focus and management. But while well received by some members of the student population, senior representatives of musical organisations in the ACT still expected the school to function as a conservatory – student numbers plummeted. “CityNews” has been reviewing our coverage of the school since Lampl arrived in Canberra during 2016. Lampl was not headhunted as head of the school but was appointed as an E-level professor following the completion of the Podger Report. When interviewed by “CityNews” in August, 2016, he said: “You’ve got to create an environment where students can discover” and that he would be teaching composition and multi-media composition, film and TV scoring. His tenure was marked by a dramatic increase in student numbers – last week the ANU confirmed a 195 per cent increase in first-year enrolments. He also saw it move into more popular music genres, aided by the unveiling of a sophisticated recording studio in 2017, which is now in constant use by students, staff and outside musicians. In December, 2017, Lampl engaged staff, students and outside music organisations in the recording of a new song “Go Cavs Go!” for the local baseball team the Canberra Cavalry, under a written contract, to arrange a chant in homage to the Chicago Cubs’ team song. In December last year an independent review following an allegation by music community members that the song had breached copyright law cleared him of any wrongdoing. In February, 2018, it was announced that the “Music Engagement Programme” for young people, delivered by the ANU for two decades, had been dropped. On September 5 students and staff protested the changes in front of the ACT Legislative Assembly, seemingly unaware that ArtsACT funding had stopped in July 2017, although the ANU had continued to fund the program until the end of that year. Lampl is adamant that the defunding went against the university’s wishes. Throughout his headship Lampl maintained, under an agreement with the ANU, his private, personal practice as an arranger and contracted composer, rearranging the music of the British American band Foreigner for a full orchestra and later touring as conductor with the band and scoring numerous films. Lampl has declared himself proud of his record in restoring student numbers. He has no intention of leaving town and has committed himself to the region by buying property here. But, he says it had never been his intention to remain an administrator full-time and he wants to get back to teaching and composition. He is not the first and will not be the last ANU professor to have forsaken administration for practice. It’s probably worth pointing out that any claim by the ANU that the School pre-2012 was a “financial basket case” should by rights be balanced by mentioning just how much the post-Podger rebuilding is now costing them ($12.5 million by their own estimation), that is–much more than the reported deficit of the pre-2012 School and the School between 2012-14 reduced this deficit to almost nil). In fairness, then, to whom does the term “financial basket case’ truly deserve to rest, the School of Music, or to those who managed the circumstances in which it had to operate?